We are keenly dedicated to ensuring that our people get the best possible training both theoretically and in the field. Each painter must complete a 10 week, 200 hour training program prior to even touching your house with a brush. We provide ongoing training and evaluation throughout the lifetime of each painter within our business to ensure that our strict quality standards can always be met for even the most discerning customers. 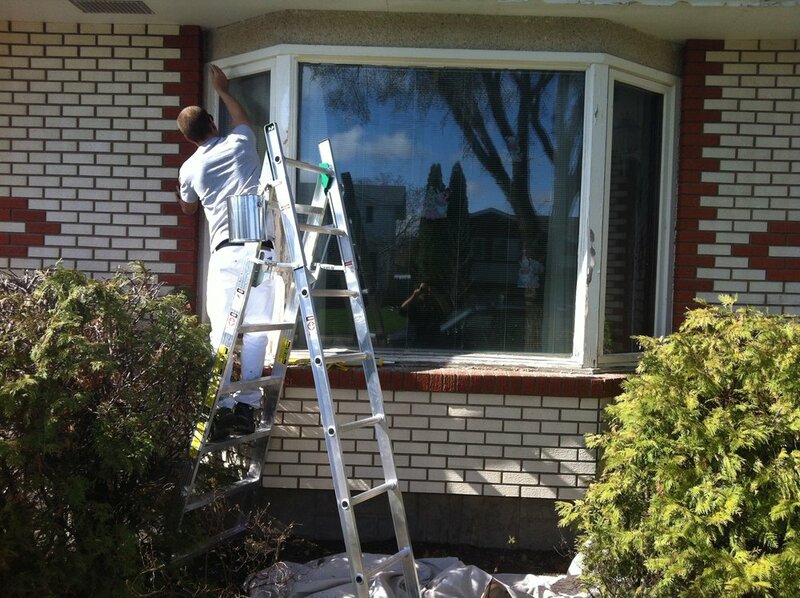 We absolutely know that full attention to preparation work is the #1 way to ensure that we have a strong foundation for a paint job that will look great and last a long time. Guaranteed for 3 years! All exterior paint surfaces to be pressure washed prior to paint work. All loose and flaking paint to be removed with heavy-duty scrapers. All heavy edges to be sanded so that transitions are smooth to the touch. All painted surfaces to receive a scuff sand to ensure proper paint adhesion. Loose joins and edges will be caulked with 25-year acrylic caulking to ensure a tight water seal. All sanded surfaces to receive a wipe-down to remove dust prior to priming with a top-quality primer. If we are applying paint with an airless sprayer we will mask off all necessary areas to protect your property. One or two coats will be applied with a top-quality paint. We generally paint top-bottom and left-to-right. It is the easiest way to guarantee an organized and efficient job-site workflow. Preparation work to be inspected prior to painting (photos taken at your request). In person inspection of prep work at your request. Edges, corners, transitions in colour, tops, bottoms and edges are a must to inspect and special attention will be paid to these often overlooked areas. We are looking for a smooth, even finish with proper solid colour throughout the painted area (field).